Seeing The 1980s Twice Over, But Done Better With Dance Two new films, Ping Pong Summer and Test, both employ a careful sense of the culture in looking at very different aspects of the same summer: 1985. A Run-DMC tape. A boom box. A pair of Nike sneakers and bright red tracksuit pants. These are the objects that we see in the opening shot of Ping Pong Summer, the cultural markers that would clearly peg the film to a particular decade even without a subtitle further specifying the year: 1985. Ping Pong Summer takes us to Ocean City, Md., a beachside town where 13-year-old Rad Miracle (Marcello Conte) is vacationing with his family, staying at a ramshackle house with a notoriously reclusive neighbor (Susan Sarandon). Rad's passion, though, is not for the beach but for pingpong. So naturally he gravitates to Ocean City's Fun Hub arcade, "the coolest place in the whole wide world," according to his new summer friend, Teddy (Myles Massey). There he finds a pingpong table on which to practice his craft, a Slurpee-addicted love interest named Stacy (Emmi Shockley), and a pair of nemeses, Lyle Ace (Joseph McCaughtry) and Dale Lyons (Andy Riddle), who are "the richest kids in Ocean City" and pingpong aficionados themselves. As just the character names make clear, the film seems to delight in the '80s aesthetic and summer coming-of-age story that it's built on. But the mood turns languid and even dark at times, as if, faced with the bright colors and loud personalities of the '80s, writer-director Michael Tully decided that a counteracting drop in energy level was necessary. When it cuts to a drunk man passed out on the balcony of a decrepit motel or showcases a horrifying clown that berates Rad about his girl problems, Ping Pong Summer seems as set on providing offhand reality checks as it is on offering rosy summer fun. The result is a sometimes intriguing experiment in upended expectations, though not a particularly successful one. Largely, the tactic lacks coherent purpose. Ping Pong Summer is a film constructed from nostalgia — not just toward the '80s and its hair spray and hip-hop, but also toward adolescence, summer love and other common targets of longing through the rearview mirror. Ultimately, it gets stuck between embracing and undercutting that feeling. When we watch Rad and his 13-year-old peers rapping or break dancing, they look exactly like we'd expect — like dorky kids poorly mimicking the culture around them. The awkwardness is endearing for the most part, and the care taken to give Ping Pong Summer's production design and cinematography a 1980s look demonstrates an obvious fondness for the era. But there are also moments that lean too strongly toward mockery. The sense is that Ping Pong Summer wants to be sincere, but not too much so; affectionate, but not too much so. It's a love-hate relationship, perhaps, but the result is confused more than ambivalent. 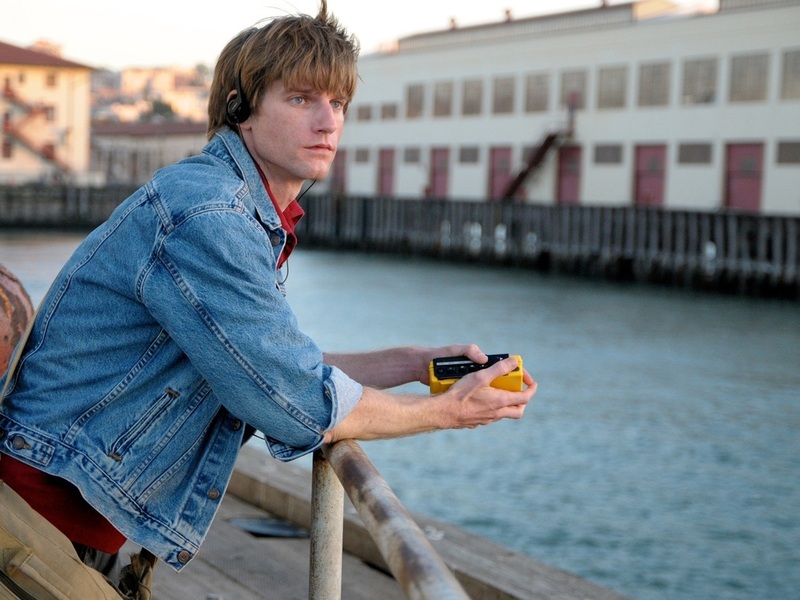 Test also takes place during the summer of 1985, but the mood in writer-director Chris Mason Johnson's second feature is more ominous, marked by fear of the growing AIDS crisis among the gay community in San Francisco. In the film's first scene, an anonymous figure at a party asks: "Can you get it from sweating?" This dread, spread and aggravated through misinformation and fearmongering, is an explicit preoccupation for the film — Johnson shows us a mattress on the street with "Aids Faggots Die" scrawled on it and a newspaper headline asking "Should Gays Be Quarantined?" But the fear also becomes part of the film's very texture. Test's central character, Frankie (Scott Marlowe), is an understudy at a local dance company, and in an early scene at a rehearsal, the touches between some of the dancers elicit reflexive discomfort. "Can you dry off a little?" one person finally says to Todd (Matthew Risch) before muttering that she's worried about his cold. The dance setting works well for Test: In one scene, Frankie and the other company members are scanning themselves for lesions; in the next they are offering wondrous displays of the human body's potential. While the film underwhelms in its final third, where the underdevelopment of the characters around Frankie becomes increasingly noticeable, there's a performance scene at its midway point — Frankie's first opportunity to perform with the company — that stands out as one of the best from any film this year. Much of the panic that Johnson portrays in Test gets displayed through physical expression — in the characters' hesitance toward intimacy, in bodies shrunken in front of the mirror from worry. Frankie's dance, filled with strength and vitality, becomes the spellbinding contrast to that anxiety. In this sense, the film works differently from Ryan Murphy's The Normal Heart (which ends its story in 1984, just before Test begins). Test is less about AIDS itself — we hardly see victims actually suffering through the disease — than about the dark pall it cast over a community. As a result, it does not convey the same bruising suffering as Normal Heart nor the same anger about the treatment of the LGBT community at the time. Test's comparative lack of outrage means its final outlook is rosier, a stance that perhaps resonates more than usual in a week when The Case Against 8, a documentary about the legal fight for gay marriage, hits theaters as well. If Test can portray a dark time with an underlying sense of hope for the future, it's because almost 30 years later, looking back at 1985, it has no ambivalence about the progress that's occurred since.